The Rezidor Hotel Group and Al Jassim Group have announced plans for the Hotel Missoni Doha. The unique luxury lifestyle hotel will be exclusively designed by Rosita Missoni and feature approximately 200 rooms and 70 serviced apartments. It is scheduled to welcome its first guests in late 2015. Besides approximately 200 rooms and suites, Hotel Missoni Doha will offer about 70 serviced apartments with one, two or three bedrooms. The extensive food and beverage outlets will comprise Hotel Missoni's signature Italian restaurant, Cucina; a second all-day-dining restaurant, Bar Missoni; a pool bar; and a lobby lounge. 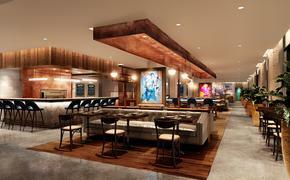 The food and beverage offering will be further enhanced by a number of fine dining restaurants. The hotel will also feature an 800-square-meter spa and fitness area, an outdoor swimming pool, approximately 1,500 square meters of conference and banquet facilities including ball room, and a business center.